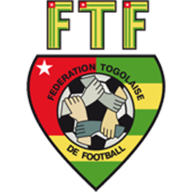 Togo coach Didier Six has told his team not to be satisfied with having reached the quarter-finals, and aim for the top. The Sparrow Hawks, who had never previously progressed beyond the group stage at the continental tournament, booked their place in the last eight on Wednesday with a 1-1 draw against Tunisia. And Six does not want his side to rest on their laurels ahead of their encounter with Burkina Faso in Nelspruit. "We are preparing for this match as a chance for Togo, in the sense that I told the players they had already written a big page in the history of Togolese football, but there is still room to add new lines and we have to play at 100 per cent." the Frenchman said at his pre-match press conference. "For the players, the African Nations Cup is an extraordinary showcase. "We have stayed focused and skipped the champagne celebrations (after reaching the quarter-finals). "Against Burkina Faso, we will play our game. They have quality players and they also have a great coach." 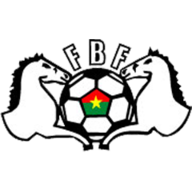 Burkina Faso, whose best result in eight editions of the competition was a fourth-placed finish on home soil in 1998, rounded off their Group C campaign with a 0-0 draw against Zambia which saw the defending champions drop out of the tournament with a whimper. Coach Paul Put said: "We have got to the quarter-finals but we must keep our feet on the ground. "It will be a tough game but we've played three tough matches already. "Togo are a very strong team physically and have a player who can make the difference at any time in Emmanuel Adebayor. But I think they have already shown they also have a great team." Burkina Faso will have to do without Lorient striker Alain Traore for the rest of the competition, but Put has backed his remaining players to fill the void. "Alain is a major player," the Belgian added. "We know his qualities, including from free-kicks and corners, but we have enough quality to replace him. "Tomorrow we must play without him and I trust the other players."